Just wanted to let you all know that we are moving so these next 2 weeks I will be packing and getting ready for the move. The sewing machine is getting packed away along with my fabric which is sad but hopefully they will not be in a box for long. 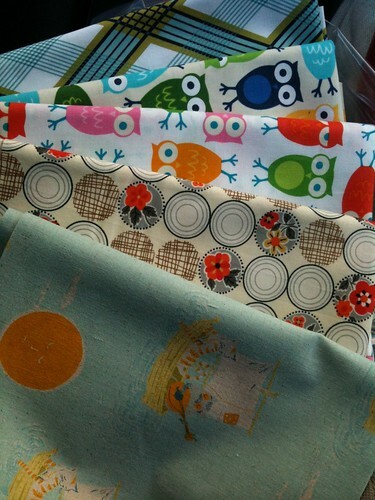 I did buy alot of fabric for Christmas (well it is technically from my husband but I ordered it) . So here is some fabric yumminess to tide you over. 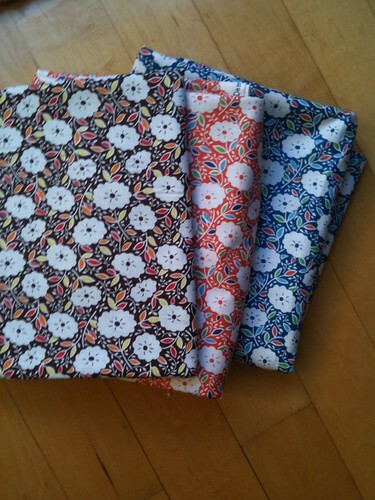 Yardage of Katie Jump Rope Geraniums for the quilt I am making for me. Some Farmers Market by Sandi Henderson. One of my favorite lines. 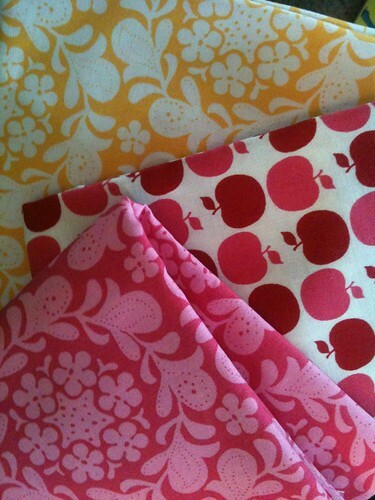 Then some random prints that I bought to use in Gwen's favorite color quilt that I bought awhile ago but forgot to share. The Farmdale print I just bought for me to have but all the other prints went into Gwen's quilt.